Isn’t it funny how sometimes you stumble into a restaurant, not having planned it, made a reservation, or even researched it beforehand (yes, I do this) and it ends up being a 4 ½ star rated restaurant on Yelp with seriously awesome reviews and a pretty impressive chef/menu? That happened during my NYC trip. Kait, myself and one of our new author friends, Ben, were wandering around Hells Kitchen looking for a place to have dinner when we happened upon Tavola NYC, an Italian restaurant inspired by Puglian, Roman and Sicilian cuisine. The restaurant specializes in its wood-burning oven roasted pizzas and has an extensive menu of Italian favorites. There is no shortage of good food in New York, and I was so excited to see that we “accidentally” ate at this place. We chatted over a bottle of delicious white wine, and freshly baked bread so fluffy and warm it basically melted in your mouth. When it came time to order dinner, I kind of went all out and ordered one of my favorite things ever — Frutti Di Mare. 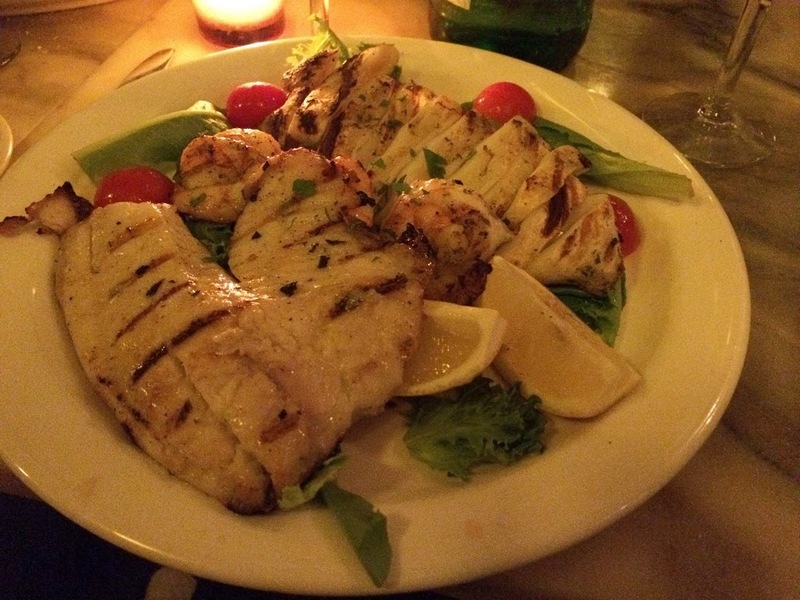 Grilled shrimp, calamari, and fish arranged perfectly over a bed of lettuce and vine-ripe tomatoes. The picture doesn’t do it justice, but I can still taste those tender calamari strips, plump jumbo shrimp, and succulent, refreshing fish all with just enough of a char to give them a little bit of a crust. 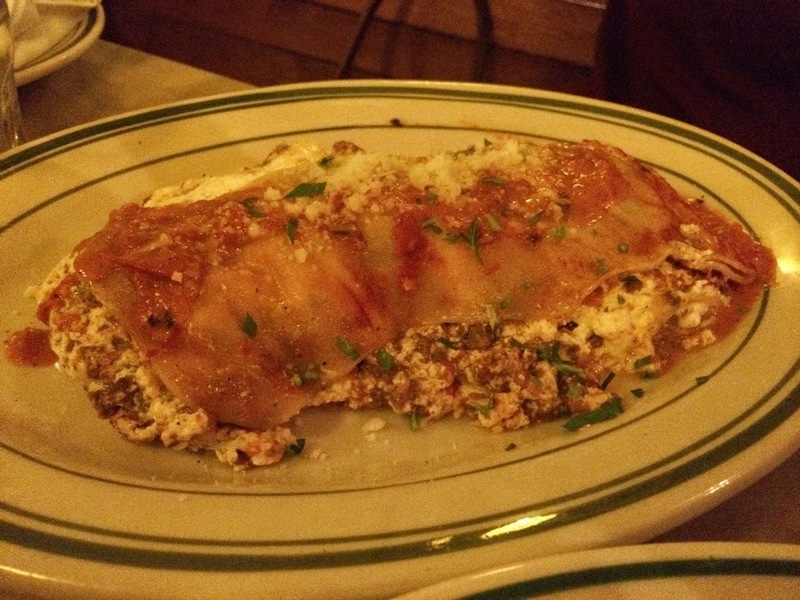 Kait ordered a classic — lasagna filled to the brim with rich and creamy Buffalo mozzarella, ricotta, and a veal meat sauce. 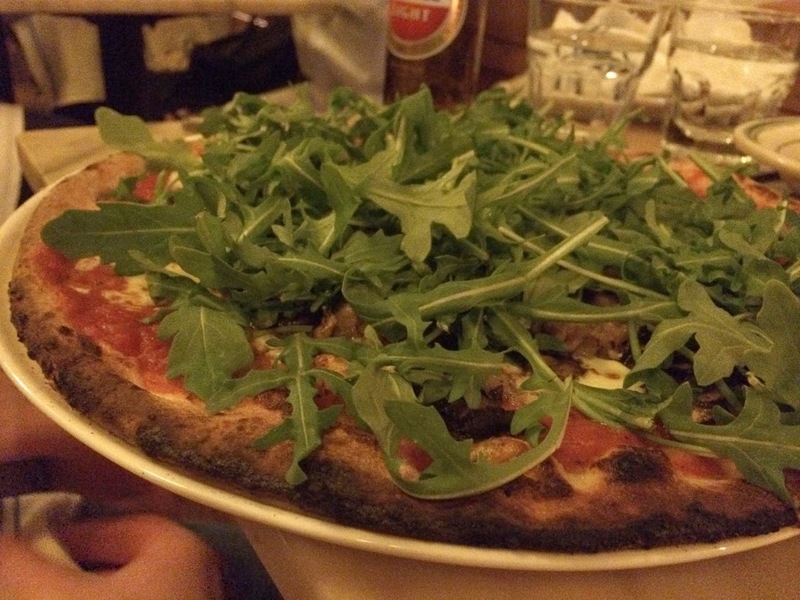 Ben ordered one of the handcrafted pizzas topped with prosciutto di parma and arugula. One of the best things about NYC is the fact that walking from place to place is almost a requirement. It’s a good thing because it can lead you to some of the best food finds of the city simply because you just happen to be passing by.